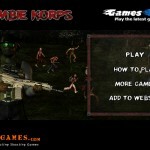 Shooting Zombie Defense Action Upgrade Games Nitro Click to find more games like this. 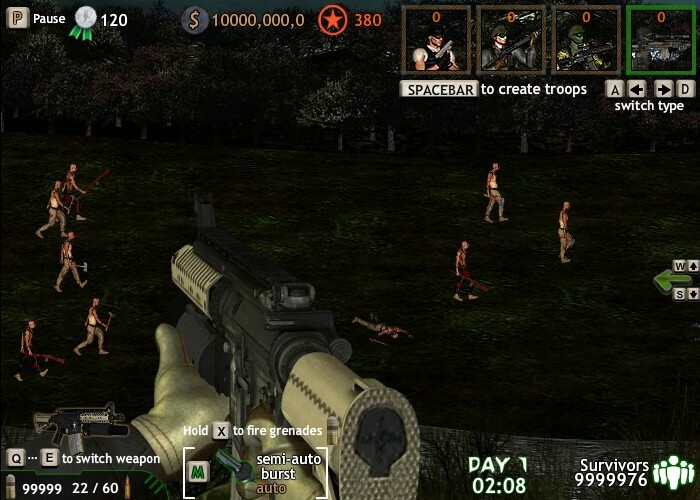 Your mission in this zombie killing game is to protect your base camp from hungry rampaging zombies by shooting them before they get to the survivors stationed in camp. 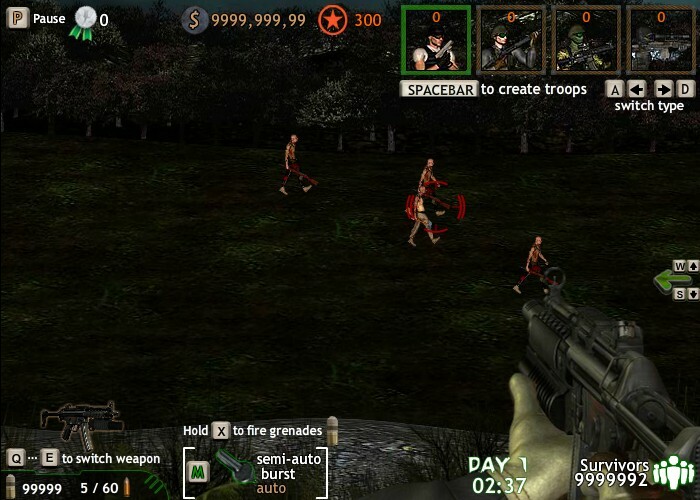 Use YOUR MOUSE to aim and fire. 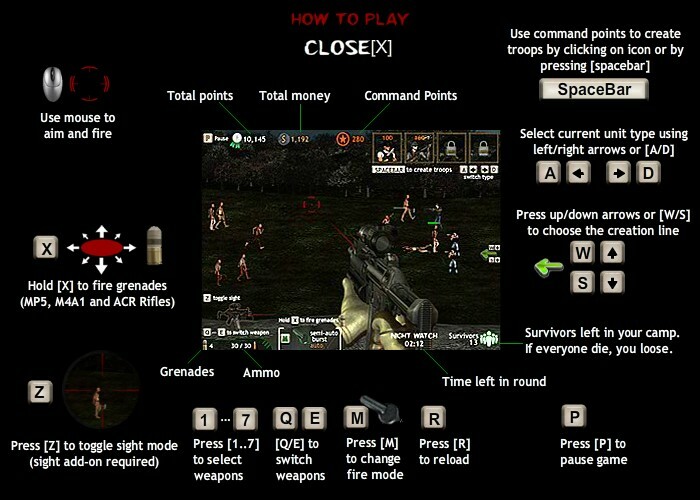 Hold "X" KEY to fire grenades and press "Z" KEY to toggle sight mode (sight add-on required). Use 1-7 NUMBER KEYS to select weapons. Press "M" KEY to change fire mode and "R" KEY to reload. Use command points to create support troops. 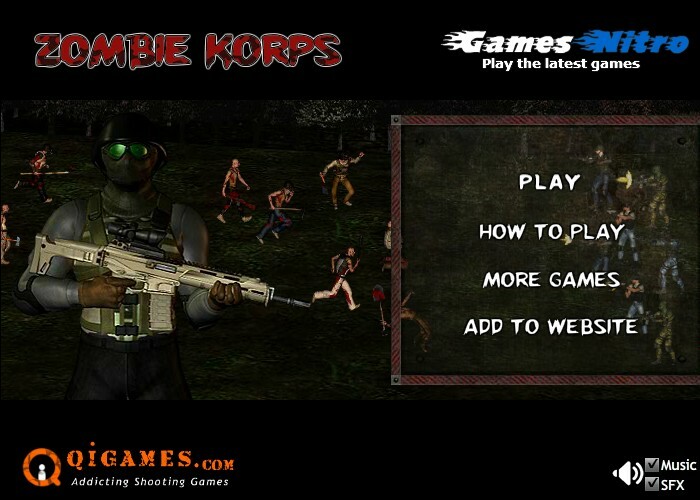 Use LEFT and RIGHT ARROW KEYS to select unit type and DOWN and UP ARROW KEYS to choose the creation line. Press SPACEBAR to create troop. Good luck!